Throwing Gravity just finished their first album. For the third time. It is often said that “the third time is a charm”, and for Throwing Gravity, that is precisely the expectation. In the fall of 2009, under their original name, The Rust, the band hit the road in promotion of their debut record - the first version that is - entitled “Anticipation”. Touring the House of Blues circuit in support of Secondhand Serenade & Parachute, the group traveled across the entirety of the continental U.S. and a portion of Canada, winning over fans night after night with rock and roll anthems and the live show to back them up. Routing the group to territory previously unknown, the tour ultimately landed the quintet in Los Angeles, and as fate would have it, right into the lap of industry legend Jason Flom, credited with discovering Collective Soul, Stone Temple Pilots, Matchbox Twenty and Kid Rock, in addition to a host of other highly successful acts. 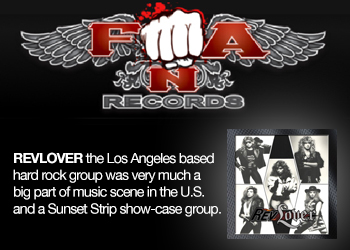 After viewing the band’s showcase at the world-famous Viper Room, Flom signed the band to his newly-reformed Lava Records, doing business as a subsidiary of Universal Republic. All the hard work it seemed, had finally paid off - Throwing Gravity (to be) had finally landed the coveted “major label deal”. Upon signing their contract with Lava/Universal in December 2009 and officially changing their name from The Rust to Throwing Gravity, the band was pushed right into the studio on January 1st, 2010 to begin the recording process for what would become “Wake Up”, the group’s (official) debut release. 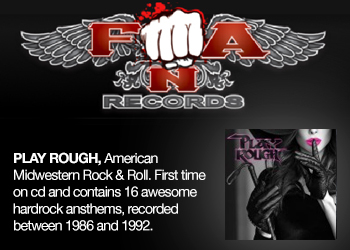 Featuring production and mixing from the likes of Chris Lord-Alge (Shinedown, Daughtry, Paramore), Ryan Williams (30 Seconds to Mars, 3 Doors Down, Outkast), Josh Abraham (Staind, Velvet Revolver, Limp Bizkit) and Jon King (Augustana, Future Leaders of the World, 3 Pill Morning), “Wake Up” included several new songs in addition to a collection of re-recorded songs from “Anticipation”, the bands original first record. “Wake Up” was completed in the spring of 2010, and with masters in hand and multiplatinum team in place - production, mixing, legal, booking, management and label - the stage was set for what the members of Throwing Gravity planned to be the biggest year of their lives. For the better part of eight months, Throwing Gravity sat at home in Nashville, TN and waited. And waited. And waited. As time slowly dragged on, filled with unreturned phone calls, album release dates getting pushed back and tours falling through, it became increasingly clear that “the dream” was falling apart. And in late 2010, the dreaded phone call that everyone feared was on its way, finally came - Throwing Gravity was released from their contract with Lava/Universal Republic Records. And to make matters worse, their record - a product of countless hours of hard work, blood, sweat and tears, and lined with a slew of heavy-hitting industry names - was shelved, never to see the light of day. By the end of 2010, the year that was so promising a mere 12 months earlier, Throwing Gravity was left with nothing. No record. No album. No money. A roller coaster ride leading straight back to square one. After the inevitable period of mourning finally passed, Throwing Gravity decided to pick themselves up, dust themselves off and get back in the studio with friend and producer Jon King to record their first album yet again - for the third time. 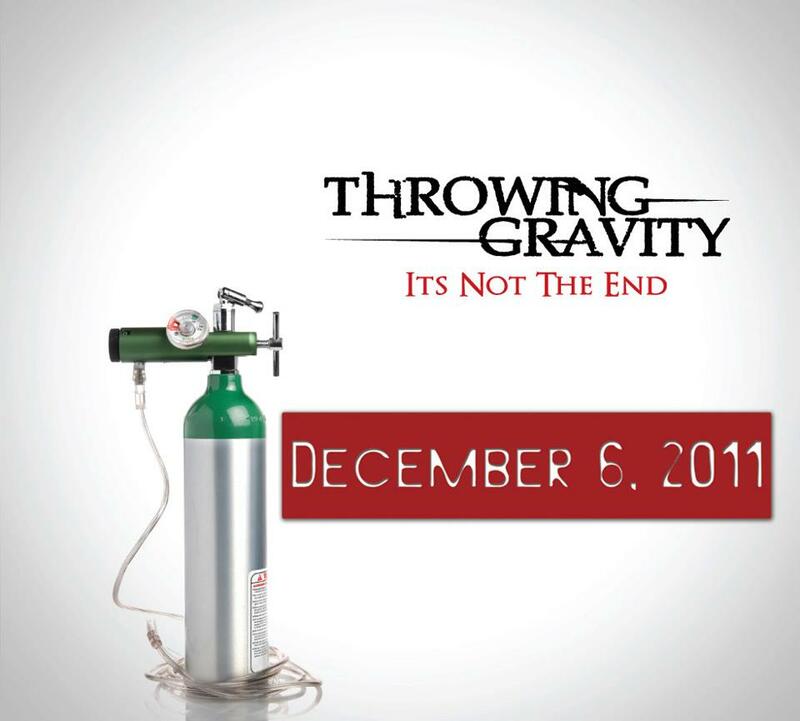 Armed with only the best songs from “Wake Up” and comprised predominately of new material, Throwing Gravity’s official debut record, “It’s Not the End”, is an audible masterpiece. Fueled by hard-hitting drums and burning guitar riffs on songs like “Circles” and “Stop”, layered with undeniable melodies and powerful lyrical content a la “Best Time” and “Given Up on Giving Up on You” and featuring the songs that have stood the test of time - “Wake Up”, “Missing You” and “Here We Go Again” - “It’s Not the End” is sure keep you listening from start to finish. 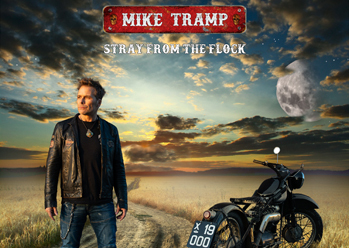 They say the third time’s a charm, and for the members of Throwing Gravity - Nick James (lead vocals/guitar), Jesse Triplett (lead guitar), Sam Hindmarsh (bass), Chris Scott (keys) and Tom DuPree III (drums) - that is precisely the expectation. And regardless of all the highs and lows that have occurred, the quintet’s mentality is no better expressed than through the title of their record. “It’s Not the End” proves that Throwing Gravity is in it for the long haul, and this time around, they’re playing for keeps. Suffice it to say, Throwing Gravity is just getting started.